Go Hawks! 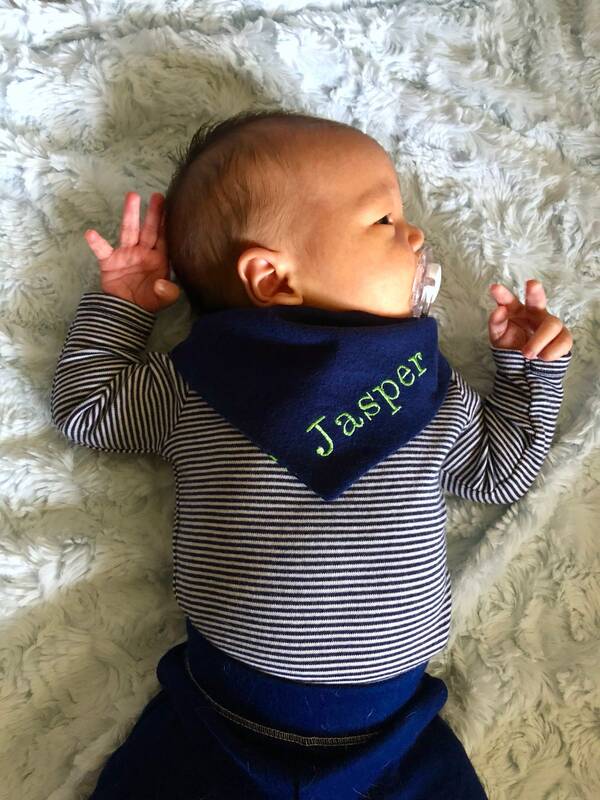 This is a handmade bib for your baby in the popular bandana style! Made with quality fabrics that are complimentary to each other as well as fashionable! 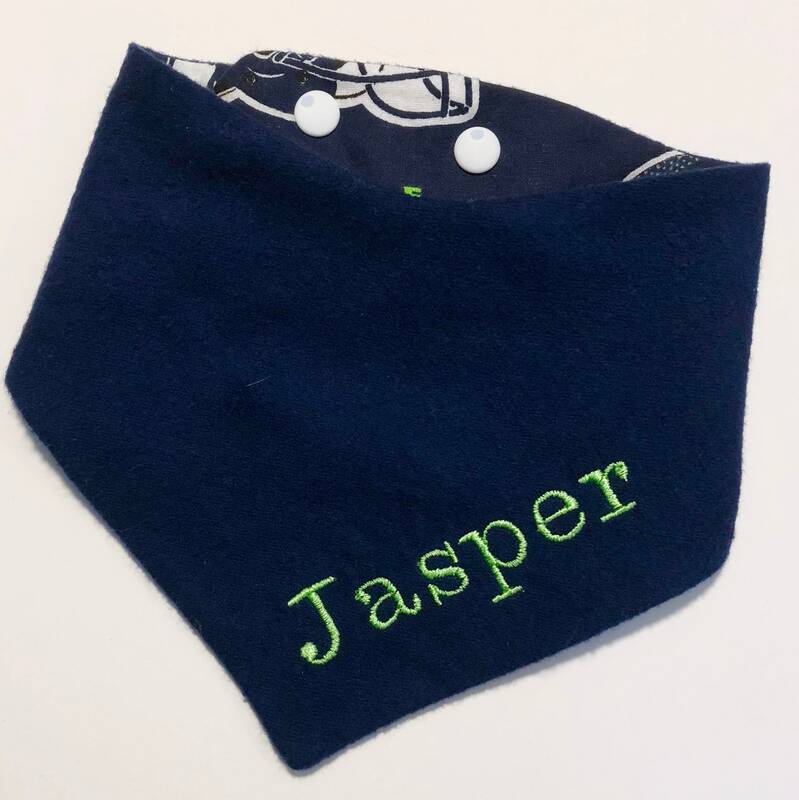 Show your little one’s Seattle pride with this personalized bib bandana, with Seahawks print on one side and solid Navy blue flannel on the other. 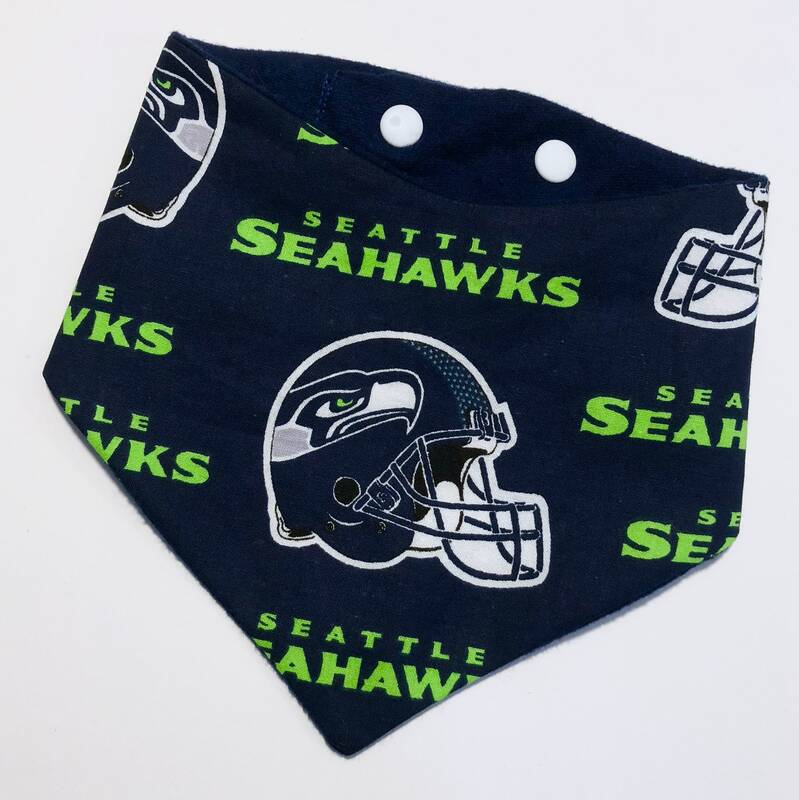 Their name will be embroidered on the solid navy side of the bandana in a bright green thread unless you have a different preference. Just leave the name in the order comments! 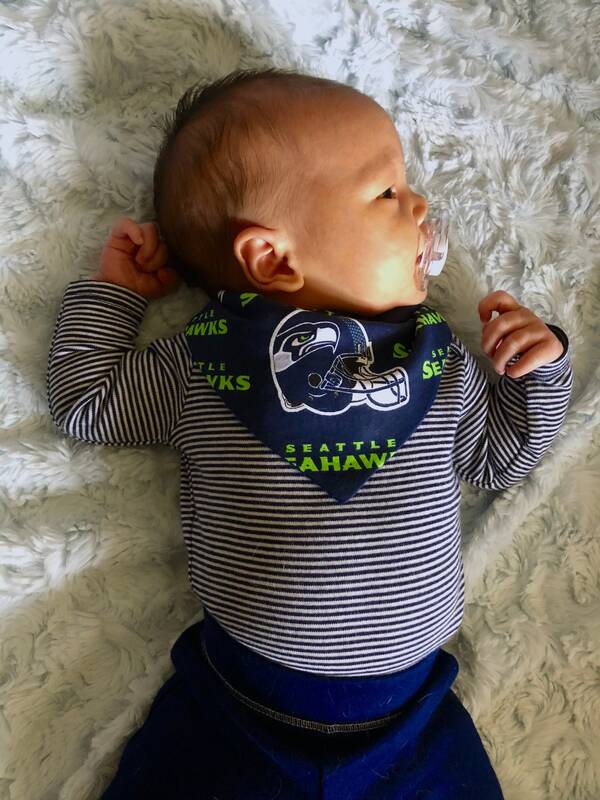 Bandanas include two sets of snaps so they can fit 0-3mo to 18mo and up! They measure approximately 12 inches around at small snaps, and 14 inches around at larger snaps. •Want peace of mind and faster shipping? No problem! Just choose Priority Shipping which includes a tracking number and guarantees delivery within 2-3 business days. All fabrics are pre-washed, so they should be just fine thrown in with your normal wash and tumbled dry (make sure they are like-colors!) but of course with handmade items hand washing and laying to dry is best to keep the integrity and color.